The forward started his side's Serie A opener against Chievo last month but did not play in the 2-0 win over Lazio and only managed 10 minutes off the bench in the 2-1 victory against Parma prior to the international break. The 24-year-old has also found life difficult at international level in recent months, having been left out of Argentina's last two starting line-ups after being omitted from their World Cup squad. 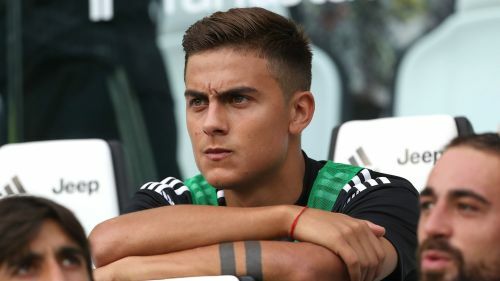 Zamparini, who sanctioned Dybala's move to Juve from Palermo in 2015, has hit out at head coach Massimiliano Allegri for his treatment of the player and backed him to move to LaLiga in the next transfer window. "Every time he is left out, it makes me want to cry," Zamparini told RMC Sport. "He's on the bench because of Allegri. Allegri should come to Palermo and win the Scudetto. "Two years ago, I sent Dybala a message and advised him to go to Spain, not Italy. "He'll leave, because Juventus want to get 120million euros. In January, I think he'll leave for Spain. He has offers in Spain and England. "Juventus have a lot of champions and it's obviously a reason to cry when a phenomenon like him is not playing." Barcelona have been linked with Dybala in the past, while Real Madrid were rumoured to be interested after they sold Cristiano Ronaldo to Juve in a €112m deal. Manchester United are also said to be considering an offer, possibly as part of a deal that would see Paul Pogba return to Turin, with the midfielder reportedly keen to move back to the Serie A champions.